<img src="http://lh6.ggpht.com/-byyG3T7QDRc/UP8XP5ETbKI/AAAAAAAAHyI/k5GN9aBn12g/video4904312164e6%25255B7%25255D.jpg?imgmax=800" style="border-style: none" galleryimg="no" onload="var downlevelDiv = document.getElementById('f25ccbab-1e6a-4e65-8331-97905cc013a6'); downlevelDiv.innerHTML = "
It is actually thousands of little beams of light that record your every location and then translate that back to the XBox. So you can jump around the room and interact directly with the game. (if the embedded video doesn’t show click this link – http://vimeo.com/17095170 and don’t worry it is ‘work friendly’). Who says the Kinect was only for games? I am now working on the next title in the Windows SharePoint Masterclass series which will focus on databases operations. That is, it will provide you with a wealth of information about installing, maintaining, configuring and troubleshooting the Microsoft SQL Server versions used by Windows SharePoint. I expect to have it out very early in the New Year, so stay tuned. I’ll first let you know is that thanks to Applied Marketing Technologies (www.amt.com.au) the Need to Know podcast distribution mechanism has undergone a complete revamp. You can now find all the episodes at http://ciaops.podbean.com along with numerous ways to subscribe via automatic updates, downloads to iTunes and even playing in a browser. They are still in the old location (www.ciaops.com/n2k) but the new medium is so much better. Firstly let me tell what’s in Episode 10. It features George Sierchio from the Consultants Coach speaking about the important of running a business like you are going to sell it. Putting it another way, asking yourself what exit plan you have from your business? Even though you may never actually need to implement such a plan, circumstances may transpire that are outside of your control that could force you to exit your business. How are you going to ensure you receive maximum value for all the hard earned time and effort you have invested over the years? George covers off what you need to consider and how to go about putting these plan into place. This a hugely valuable episode for anyone running a business. The new podcast site allows listeners to rate each show and provide comments and feedback which I hope everyone will do. The site also provides a way for listeners who like what I’ve done to provide direct assistance via a donation. It doesn’t matter how small a donation, it all goes into improving what is being offered. If you are interested in some commercial sponsorship like Applied Marketing Technology (www.amt.com.au) then I’d encourage you to get in contact with me directly. As always I’m constantly on the look out for guests so if you’d like to come on the show or you would like to hear someone on the show please let me know (director@ciaops.com). With this revamp listening to the show on a regular basis should now be much easier and I hope the podcast will continue to grow. I have been an avid user of virtualization for many years. Initially I started out with Virtual PC on the desktop to accommodate all the operating systems I had to support. These days I use Hyper-V to run both production and test machines. In this post I want to mention a very specific use I have and how I recently benefited from the machine being virtual. Apart from all the technology I run a business day to day. This means I have to do my accounts and pay tax. I have done this via electronic submission for many years. As soon as I was given the opportunity by the Tax Department to use electronic submission I did and over the years I have had very little problem. The one major problem came about when I had to shift the software to a new machine. The issue had more to do with obtaining new digital certificates than it did changing hardware. However, none the less it was painful. After that experience I decided to virtualize the machine. Why? Firstly, it meant that I could fairly easily transport the machine between host hardware systems without needing to reinstall. It meant that I could minimize what software I had on the machine (effectively just the electronic submission software). It meant that I could run it up as needed, make my submission to the tax office, update the machine, take a snapshot, back up the machine and then have it ready for next time. If I ever had issues during a submission I could easily rollback to the last snapshot and start afresh. Now times move on and once again I was faced with an update to the electronic submission software. I installed it but was having issues updating it via the Internet. Because the machine was virtualized I could test just about every aspect of the machine without fear of ‘losing’ anything. After exhausting my meagre brain I contacted the nice people at the tax office technical support area for assistance. They got me to do all sorts of things to no avail. Again, because I had a virtual machine I could try any request they threw at me and return the machine to the original clean state. Another very handy aspect of virtual technology is that I could ‘freeze’ the machine in any state. This means when they called I could quickly have the machine running without the need to physically boot it up in exactly the same state I left it in. After finally getting to level 3 support I was given a solution that works just fine. So now I have updated my virtual machine, taken a snapshot and shut it down ready for when I have to actually do my submission. The take-aways? If you haven’t played with virtualization then you really should, on the desktop and the server. Rather than piling everything on a single desktop PC have a think about creating a ‘clean’ virtual machine that you use for specific tasks (maybe internet banking?). I think virtualization is great solution to some of life’s little ‘incompatibilities’! Unfortunately, in the world of SharePoint Foundation 2010 not all file types are created equal. Here is an example. I have saved two identical documents to my SharePoint Foundation 2010 site. One is a Word 2007 document (i.e. docx format) the other is an Adobe Acrobat document (i.e. PDF). Both are pretty standard right? Well, one is certainly a second class citizen as far as SharePoint is concerned. Can you guess which one? Here are the two documents in my document library. You can clearly see which one is the Word document because of the little file icon but alas, note that the Acrobat document has no file icon so you really aren’t sure what type of file it is. This can be rectified with some configuration but is not so out of the box. If I click on the Word document (and I have Word on my system) the document opens. If I click on the Acrobat document (and I have Acrobat on my system) I see. Ahhh..where’s the option to open the file? Guess what? That’s also not enabled by default. 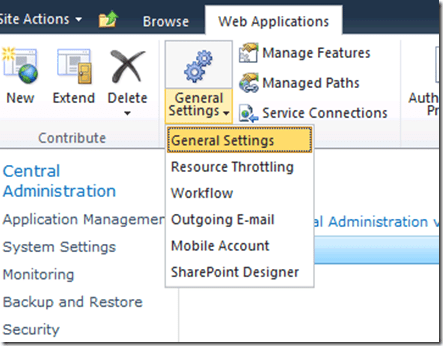 To enable this you need to go into the SharePoint Central Administration, under Manage Web Applications you select the Web Application and then General Settings (easy eh?). 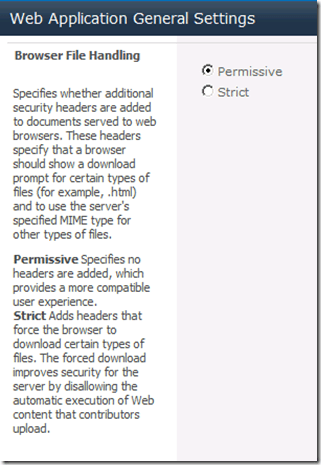 Half way down the list change the Browser File Handling from Strict to Permissive. 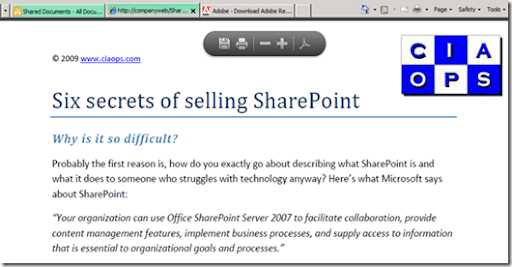 Now when you click on a PDF in SharePoint 2010 Foundation it will open in a browser window so you can view it. Note that in this document (and the identical Word one) is the term ‘collaboration’. How about we perform a search for this in SharePoint? After ensuring that indexing is running and that we have indexed all the SharePoint content we run a search for the term ‘collaboration’, which we know appears in both the Word and Acrobat document. We only get one returned result as shown above, that being the Word document, even though we know it also appears in the Acrobat document. Apparently, the ‘solution’ to PDF indexing on SharePoint Foundation 2010 is to install Search Server Express 2010. As you can see from the above I get exactly the same result. Only one document match and again it is the Word document not the PDF. Ah ha, you say, but Search Server Express 2010 doesn’t come configured by default to index PDF documents and you are right as you can see from the list of files Search Server Express 2010 above does index be default. 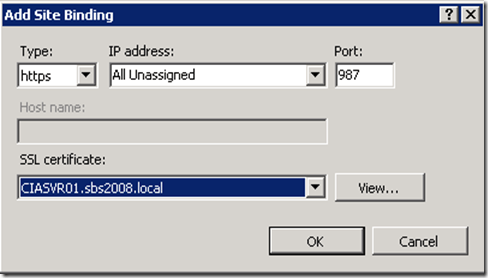 Luckily, I can configure Search Server Express 2010 to index any file type. So I add PDF as shown above, initiate a full crawl of the data and try to search again. Again, same result no PDF matches are returned. Ah ha, you say again. You need to install the 64 bit iFilter for Acrobat to allow indexing for SharePoint Foundation 2010. Spot on once again Holmes. So I download and install that. With that done and another full manual crawl run the result is once again. Do an IISRESET followed by a full manual crawl – same result. 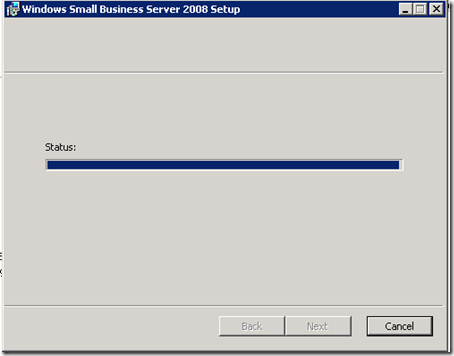 Reboot server followed by a full manual crawl – same result. It now works! I end up with duplicates since it is effectively the same file and when I expand these duplicates (since I am using Search Server Express 2010 here after going to all the hassle of installing it) I see not one but TWO matches finally Amazing what you can achieve if you have my SharePoint Operation Guide eh? 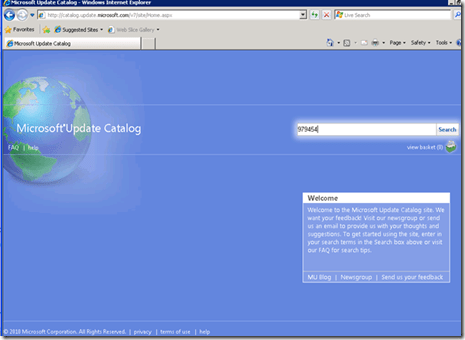 How much more valuable does this make SharePoint Foundation 2010 now? The real question for me is why it is not enabled by default out of the box? Isn’t PDF a common enough format? 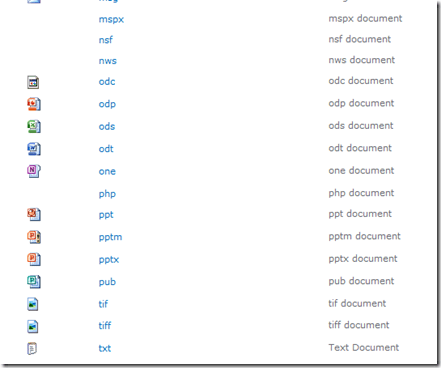 Doesn’t having the ability to index PDF documents greatly add to the value of SharePoint? 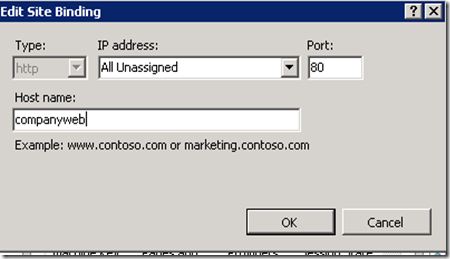 How many people are going to know to go in and ‘tweak’ SharePoint Foundation 2010 (and WSS v3 for that matter) to all PDF indexing? Most are going to call the product ‘crap’ and move on to something else because it lack what should be common functionality (at least in my opinion). Worst of all? The configuration to do PDF indexing really isn’t that difficult to enable. 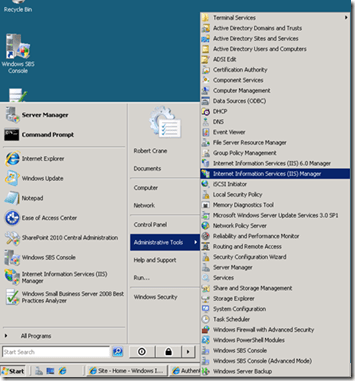 Click Start | Administrative Tools | Internet Information Services (IIS) Manager. Accept the UAC that appears. 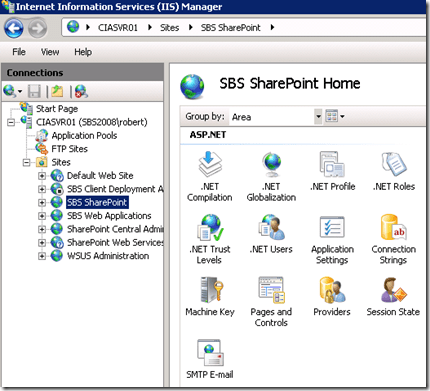 Expand the tree under the Connections section on the left of the IIS Manager until you see SBS SharePoint under Sites and click on it. Locate the Bindings hyperlink on the top right hand side of the screen in the Actions column. Click on Bindings. Select the existing http item and then press Edit. In the hostname field enter companyweb. Change the type to https. For the SSL certificate select remote. where is the name of your internet domain. (*Authors note – not shown here as I have not configured this on my test box). Set the Port = 987. Press OK to save settings. (*Authors note – you should see something like shown above). The installation process is now complete. 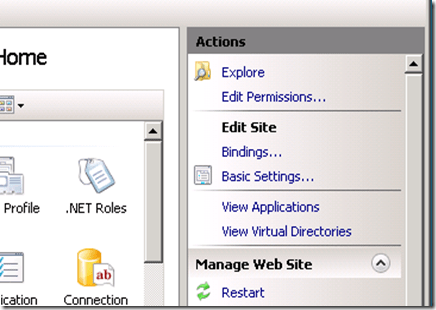 You can use SharePoint 2010 Foundation on your SBS 2008 server. In the search box enter 979454 and press Search. 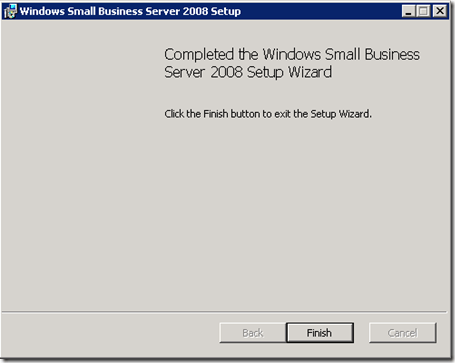 For the item Update Rollup 4 for Windows Small Business Server 2008 (KB979454) select Add. Browse to a folder where you want to save the file and click Continue. 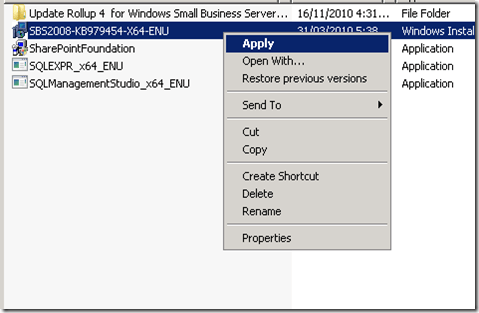 Open the location where you saved the download and open the folder called Update Rollup 4 for Windows Small Business Server 2008 (KB979454). Double click the CAB file located there. 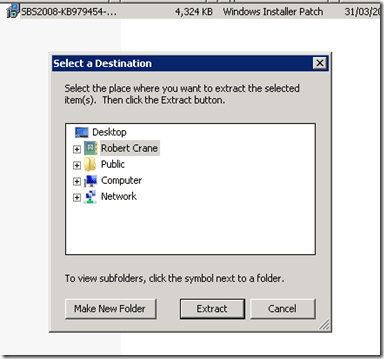 Double click the MSP file this displays and enter a location on your disk to extract the file. Right mouse click on this extracted file and select Apply from the menu that appears. Note that after the process is complete you may need to complete a manual crawl of your data to update the search indexes. The next CIAOPS Need to Know podcast (Episode 9) with Jeff Alexander from Microsoft Australia. Jeff and I discuss Windows Home Server and Vail as well as Windows Phone 7. So let me know what you think and if you are interested on being on the show please also contact me (director@ciaops.com) as I am always looking for people to talk about business and technology.